According to the latest report by the World Economic Forum (WEF), "The Travel & Tourism Competitiveness Report", Peru recorded one of the highest growths in tourism competitiveness. In the tourism sector, Peru climbed seven positions in relation to the 2015 report, ranking this year in the 51st ranking of 136 economies with a score of 4.04 slightly behind Argentina (50 with 4.05 points) and Chile (48 with 4.06 points). According to the report Peru received more than 3.45 million visits of tourists in the year 2016, thus generating income of US $ 3,319.7 million. 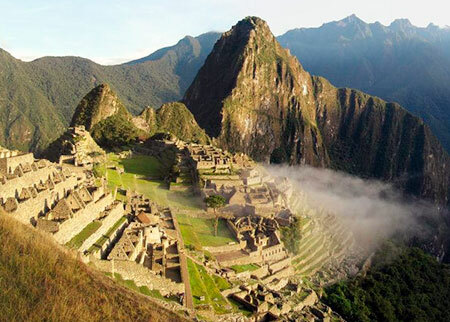 The tourism and travel industry in Peru amounts to a total of US $ 7,375.6 million or 3.8% of the country's total GDP. Likewise, the tourism sector generates around 390,655 jobs. In Latin America, only Mexico (22 with 4.54 points) and Brazil (27 with 4.49 points) are positioned in the top 30 in the world, followed closely by the countries of Panama (35 with 4.37 points) and Costa Rica (38 with 4.22 points). Mexico had an increase of 8 positions. In the same way is the rise experienced by Colombia (62 with 3.83 points), which stands out its international layout and opening to receive tourists, which has made it rise up to 6 positions. Spain for the second consecutive time leads the ranking thanks to its cultural attractions, cultural wealth, tourist attractions and its level of infrastructure. In 2016, Spanish tourism received 75.3 million visitors, an increase of 9.9 points on the previous record.